To praise and worship God is to express our love and awe of who He is. 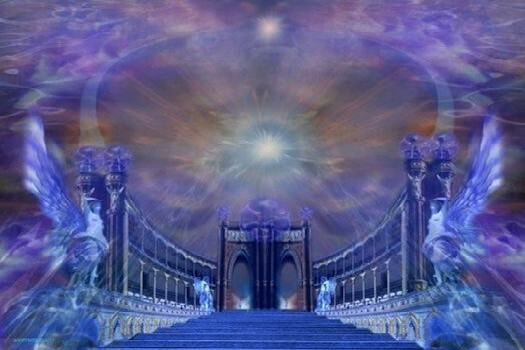 In Isaiah 66:1 God says, “Heaven is my throne, and the earth is my footstool.” He is the Creator of the universe and everything in it, which includes you and me. How wonderful and amazing is that! 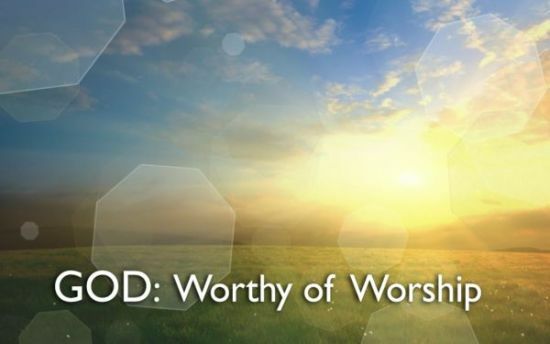 Worship, according to the dictionary means: a) to show profound religious devotion; b) to have intense love and admiration; and the definition of praise is: a) to express admiration or approval for; b) to express thanks and worship to God. In other words, praise and worship go hand in hand. Praising and worshiping God is not about a ritual, or prayer repetition. It’s not about spending a few minutes a day reading our bible or about reciting our wish list on a daily basis. True worship requires total commitment of our body, mind and spirit. It’s about exalting, adoring and acknowledging the God of the Bible. It has nothing to do with religion, but it has everything to do with having an intimate and profound relationship with God - the Father, Son and Holy Spirit. To many, worship is associated with singing. But there are certainly other types of worship. I believe the most important way to show our devotion to God is through our everyday lives. When we strive to be Christ-like, to loving and serving others, to honoring and glorifying God, then we are truly worshiping Him. Also, worship is not just for your benefit, but for God's. When you say, 'I didn't get anything out of the service today,' you worshiped for the wrong reason! Yes, there are personal benefits, but we don't worship to please ourselves. Our highest motive should be to exalt God in whatever we do. Finally, worship should not be confined to church; as Martin Luther said, 'A dairymaid can milk cows to the glory of God.' The secret of worship is in doing everything 'as unto the Lord'. The Bible says, '...because of God's great mercy to us I appeal to you: Offer yourselves as ...dedicated to His service and pleasing to Him...' (Romans 12:1 GNT) That's what it means to worship!" We can worship God in church, in the garden, while we’re shopping or in the shower. Location doesn’t matter or how many people are involved. Worship can be done with a group of people, or by ourselves. When we come before the Lord with a pure and repentant heart, He will bless us with His grace and mercy. We can worship God through prayer, singing, raising our hands in adoration, dance, art, through the use of colors, playing instruments, using flags and banners, and even through mimestry (an exciting combination of mime, sign language and drama). "Let the whole earth sing to the Lord! Each day proclaim the good news that he saves. but the Lord made the heavens! recognize that the Lord is glorious and strong. Give to the Lord the glory he deserves! Bring your offering and come to worship him. True worship is not about us but it's all about God. We cannot worship God in truth with sin in our lives or if there is self-will in our hearts, because it is about God’s will for us and not the other way around. The Bible warns us not to worship anyone or anything else. We are not to worship, saints, statues, angels, money, or celebrities. Anyone or any thing that becomes more important than God, and turns our hearts away from Him is an idol or a false god. God says in Exodus 20:2-3 “I am the LORD your God .....You shall have no other gods before me." When the devil tried to tempt Jesus in Matthew 4:10, Jesus rebuked him and said, “Away from me, Satan! For it is written: 'Worship the Lord your God, and serve him only.” If we choose to worship false gods, God’s word says in Jonah 2:8 “Those who worship false gods turn their backs on all God’s mercies.” I certainly don't want to live my life without God’s mercy!